This is a webinar from the Teaching English to Speakers of Other Languages (TESOL) Department at The New School - presented by MA TESOL alum Jennifer Jones. 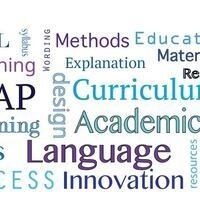 How can we take the best of ESL and ramp it up for our EAP (English for Academic Purposes) learners? This webinar will explore practical techniques to provide a more engaging curriculum for EAP learners by adapting existing curricular materials and integrating further opportunities to personalize and interact with program content in meaningful ways. Jennifer Jones has been in the ESL field for fifteen years and has taught in Japan and Canada. She is Head of Academics and Head TESOL Instructor at London Language Institute, a mid-sized private language school in London, Ontario, Canada. She currently runs the TESOL Certificate and TESOL Diploma Programs at the institute. Jennifer has developed curriculum for ESL levels ranging from beginner to advanced, along with various programs for Academic Preparation. Jennifer is a University of Toronto graduate with a degree in English and Philosophy; she also holds certification from both TESL Canada and TESL Ontario, along with certificates in Advanced Grammar for English Teachers, Teaching Academic Preparation, and Teaching Standardized Test Preparation. Jennifer is a 2017 New School MA TESOL graduate with a special focus in Curriculum Development. Presented by the Teaching English to Speakers of Other Languages (TESOL) Department at The New School.